The Smithsonian, founded in 1846, is the largest research complex and museum in the world. There are 19 galleries and museums, nine research facilities and the National Zoological Park. The majority of the museums, eleven, are located on the National Mall. The Mall is located between the United States Capitol and the Lincoln Memorial. There are other museums located within Washington D.C. and one is in Chantilly, Virginia, and two are located in New York City, which are also part of the Smithsonian. The Smithsonian has close ties to another 168 museums located in 39 states, Puerto Rico and Panama. Those particular museums fall under the title of "Smithsonian Affiliated" museums. The Smithsonian gives these museums artifacts on a long-term lease agreement. These particular long-term leases are not the only exhibits from the Smithsonian that are not in the actual Smithsonian museums. In 2008, the Smithsonian distributed travelling exhibitions to over 500 venues across the United States. There is also a long list of research centers. 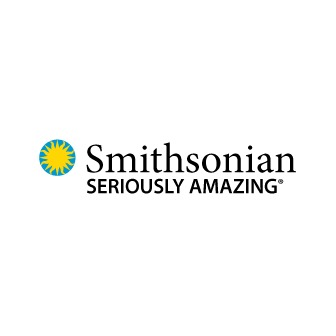 The Smithsonian was established because of the generosity of James Smithson a British scientist. He donated his entire estate valued over half of a million dollars to be used for an establishment in order to "increase the diffusion of knowledge." Smithson knew nothing about the country of United States at the time and there are many theories as to why he left his estate to a country he knew nothing about. Following eight years of spirited debate in Congress, an Act of Congress that President James Polk signed in August of 1846 officially established the Smithsonian Institution. It was established as a trust that would be watched over by the Board of Regents and operated daily by a Secretary. Since then it has become the largest museum and research complex in the world. Quite simply the mission that the Smithsonian Institute stood back for about 165 years ago still holds true till today. James Smithson wanted "the increased diffusion of knowledge", and for the past 165 years the Board of Regents and Secretary of the Smithsonian have kept this as their daily mission. Their focus is the fulfillment of four grand challenges of Institution's strategic plan. These four challenges are Valuing World Cultures, Unlocking the Universe's Mysteries, Sustaining and Understanding a Biodiverse Planet and Understanding the American Experience. They believe they can help shape the future if they can preserve their heritage, discover new knowledge and share all their resources with the rest of the world. These are strict values that are followed by everyone related to the Smithsonian. Discovery is a value they preserve that pushes the organization to explore and bring about new knowledge that allows for better ways of doing business. Creativity that will instill work with innovation, imagination and excellence to deliver the quality services and products in all endeavors and diversity that capitalizes on the richness created by the inherent differences is followed by the Smithsonian. Integrity that says they must carry out all of their work with accountability and responsibility. The institution makes sure what they do is for the benefit of the stakeholders and the public. The Institution has prioritized its activities like the broadening of access where it is digitizing collections, improving the experience of the visitor and exploring new technologies. The institute aims to cross over new boundaries by establishing a consortium around the individual four grand challenges that are followed. The institution is continually strengthening its collection to support new initiatives and provide better organizational services in order to better deliver their mission and establish performance indicators to be a continual barometer for measuring progress towards goals. The institution believes that they can help give to the next generation what was given to them and therefore preserving the heritage is the only way it is possible. An Act of Congress passed in 1846 laid the foundation of the Smithsonian on August 10, 1846. It became an institution dedicated to "increase the diffusion of knowledge" and was signed into law by then President James Polk the very same day. This signing by the president ended close to a decade of debate in Congress and the public over an Englishmen's strange request. James Smithson who passed away in 1829 left a will giving all his estate to the yet unformed USA for the establishment of an institution to increase and diffusion of knowledge to be named the Smithsonian Institution. After his estate in England went through liquidation, the executor changed the proceeds to gold sovereigns and when they arrived in the States, they were valued at over $500,000. Following the arrival of the estate, debate went on for another decade before the Smithsonian opened to the public. 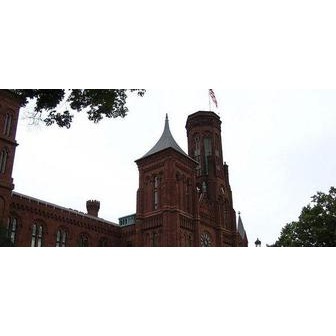 The Smithsonian was established as a federal establishment but not part of any of the three branches of government (executive, legislative, judicial) and was to be run by their own board of regents. Charles Lang Freer a Detroit philanthropist donated a collection to the Institution, which became the first private collection to be donated by an individual. The Freer Gallery was officially opened in 1923. The Smithsonian quickly started to amass collections from the U.S. government such as the United States Exploring Expedition that was donated by the U.S. Navy. Today the Smithsonian has become the world's largest museum and research complex with hundreds of different exhibitions spread out over 19 museums and research centers. It also has items that have been distributed to more than 500 different venues across the United States that are on display to the public. In Washington D.C., the Smithsonian has become one of the most popular visitor attractions for tourists from all over the world. The Institution is also one of the world's largest educational centers.